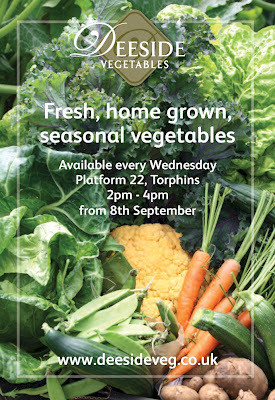 Deeside Vegetables at Platform 22! Every Wednesday (starting 8th September) Deeside Vegetables will be selling their delicious home grown, fresh vegetables at Platform 22 between 2 and 4pm. Weather is terrible today, but come rain or shine Deeside Vegetables will be here! !